IMPORTANT Climate control system is very useful to speed up demisting since it dehumidifies the air. 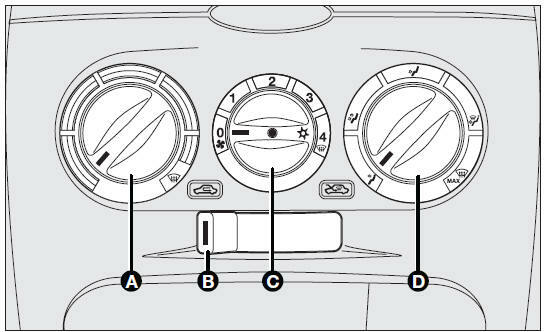 Set controls to demisting function as described previously and switch on the climate control system by pressing knob (C). Turn knob (C) to the left to reduce the fan speed. During the winter, the climate control system must be turned on at least once a month for about ten minutes. Before summer, have the system checked at a Fiat Dealership.